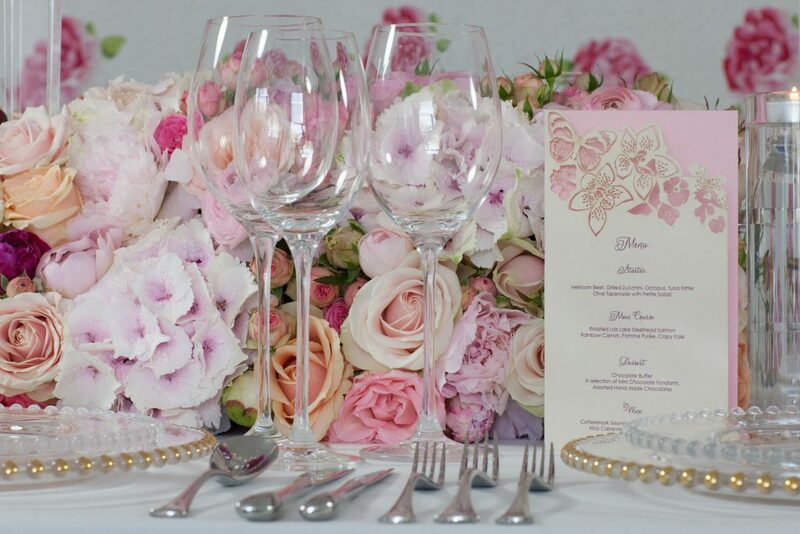 5 Star Weddings: What colour trends have you seen emerging this summer? Larry Walshe: We have noticed two particular colour trends emerging this summer; the first is the use of blush and pastel shades. 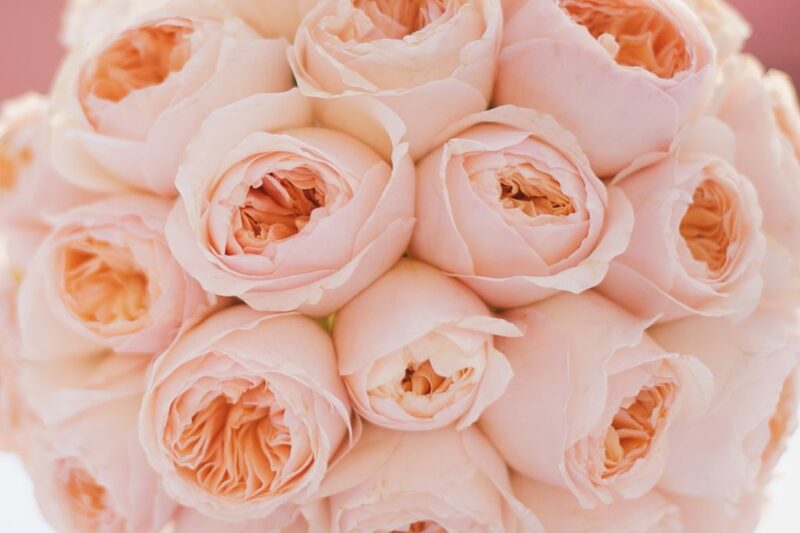 Ever a popular combination for wedding flowers, brides are continuing to love the use of blush pink, peach and other soft tones to create subtle and romantic designs. The other is the use of assorted and mixed colours within a design to create a more eclectic and in some instances, “just-picked” aesthetic. 5 Star Weddings: What are the most popular styles of wedding bouquets? Larry Walshe: Following a post Royal-wedding increase in requests for cascading shower bouquets, brides seem to be reverting to a classic hand tied design this summer. In particular, bouquets featuring a single variety of massed blooms is proving increasingly popular. This provides a rich and opulent aesthetic whilst maintaining a subtle contemporary edge. 5 Star Weddings: Is foliage still popular? Larry Walshe: Brides appear to be requesting less foliage in their designs and instead selecting schemes which have a strong flower content. 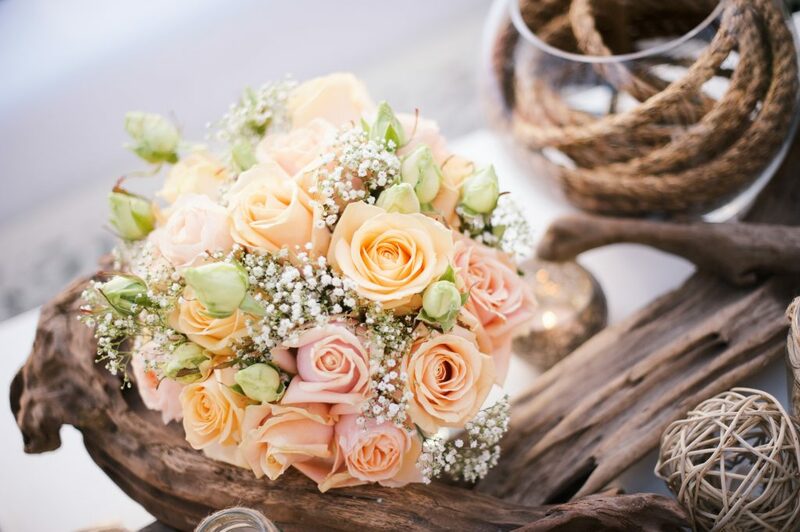 Even with “just-picked” rustic looks, we have noticed brides are keen to select beautifully striking blooms with a minimal inclusion of foliage. The use of herbs however is always popular within a summer design as they add such a wonderful texture and scent. Personally, I love working in this way as it allows us to create rich and abundant designs which exude romance. 5 Star Wedding: Is the use of any other materials proving popular this summer? Larry Walshe: Vintage lace is still a very popular alternative for use in bouquets for summer brides seeking a more whimsical and ethereal aesthetic. 5 Star Weddings: Which flowers to brides most regularly request? Larry Walshe: Roses, hydrangea and peonies are definitely amongst the most popular requests. 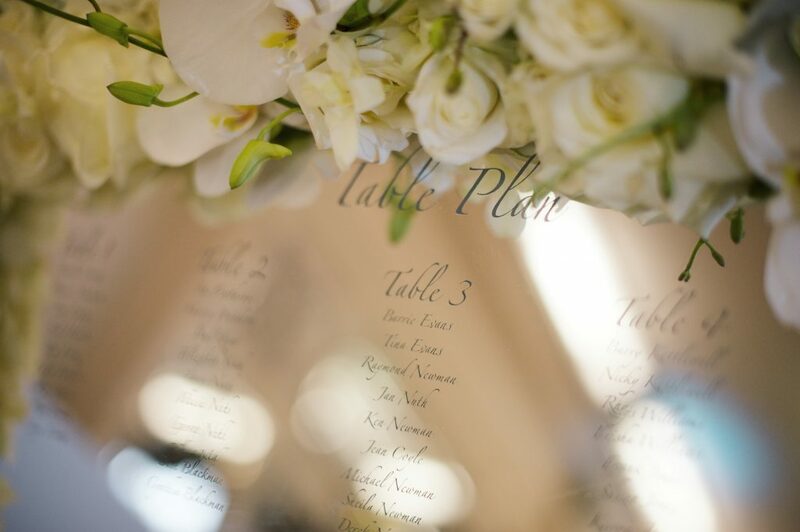 5 Star Weddings: What are the most popular requests for table centre designs? Larry Walshe: We have noticed an increase in requests for long table designs this summer. 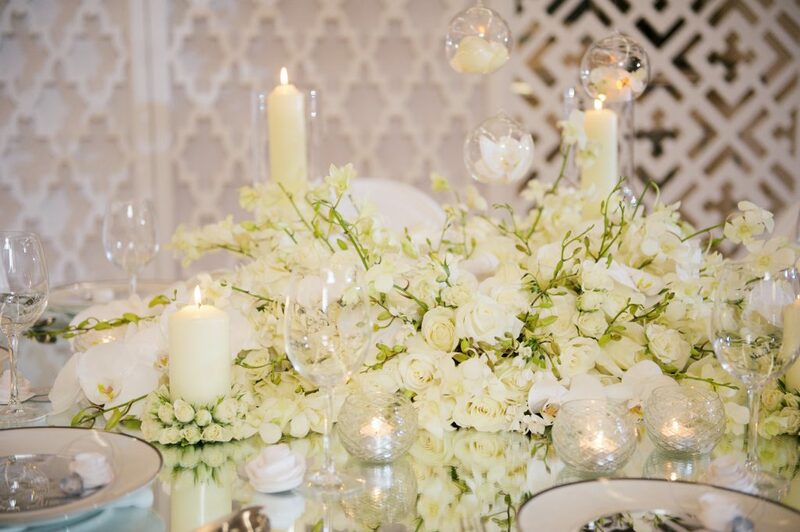 Brides are keen to achieve a more relaxed yet opulent aesthetic by creating a beautifully romantic mix of flowers and other curiosities in order to add a greater level of variety to their table designs. Personally, this provides us with a great deal of creative freedom to suggest innovative and interesting pieces which we can integrate to create a visually dynamic and detailed design. 5 Star Weddings: What is your favourite wedding brief to receive? Larry Walshe: I absolutely love receiving a brief for a wedding taking place inside a marquee. They are the perfect blank canvas within which we create whatever the heart desires. Quite often, this also means the wedding is taking place at the family home and it is always such a joy to create a design that draws inspiration from such personal surroundings. 5 Star Weddings: What happens to the flowers after the wedding? Larry Walshe: Quite often, family members will opt to take home or keep some of the designs to enjoy post wedding. We then collect what is left and transform this into a large bouquet which is delivered the very next day to the wedding couple as a memento of the day beforehand. Should anything further remain, this is then transformed and delivered to local charities and hospices to bring joy to those within our community. To view the full article, click here. For more seasonal flower inspiration follow us on Instagram at @larrywalshe.